I am an empathetic, detail-oriented creative professional experienced in engineering, design, entrepreneurship, organizational psychology, and teaching. I enjoy solving problems, learning new skills, and collaborating across teams to build impactful, meaningful products and services that are useful and usable. 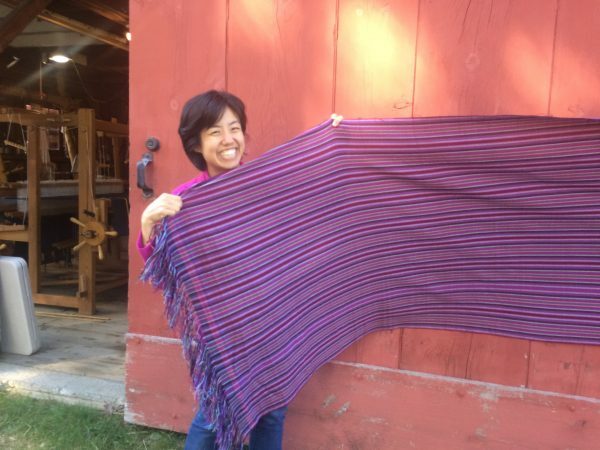 I am also an avid weaver and was an artist-in-residence at the Vävstuga Swedish Weaving School through the non-profit Fabric of Life in 2018. In 2012, I launched an online retail shop selling Japanese and organic fabrics and craft supplies. I designed and developed the website, sourced the products, and manage all the day-to-day operations. At the James Beard award-winning food blog Serious Eats, I collaborated with editors to design and launch new websites, improved user-facing features, implemented marketing campaigns, and provided customer support. For my UX Research class at UC Berkeley, I focused my research studies on the experiences of parents traveling with young children. I used various methodologies to understand their motivations and needs.